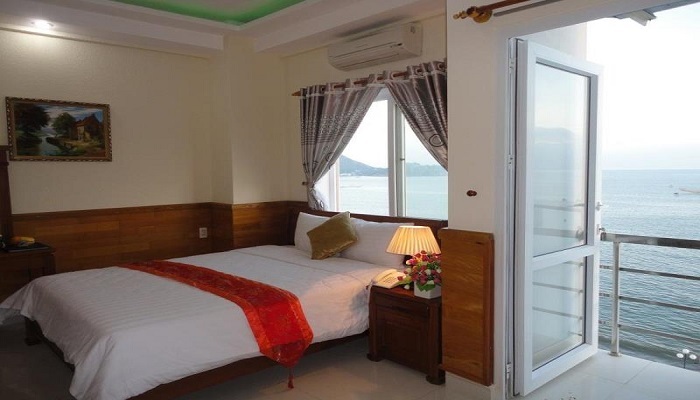 Sunflowers Hotel Quy Nhon is the charming 3 star hotel in the center of Quy Nhon City. The hotel is the popular choice for tourists and businessmen who staying in Quy Nhon for short time or long time. With the modern style in architecture, good service and nice view, people who stay here, have their comfort in whole the time. Total of room: 50 rooms in which there are the room types such as Superior, Deluxe, Family rooms and Sunflowers Suite. Room features: wifi, refrigerator, safety box, desk, bathroom amenities, satellite/ cable TV, complimentary bottled water, mini bar, television and some other features that offered by the room type specifically.